The Drunken Housewife: Oh, Hello! I Believe We've Met Before. A couple weeks ago, i was asked a question by my dr. it was a question that i have been asking myself and thought i knew the answer to. lately, i've been reading so much about PPD to inform myself and try to keep it from happening again. i've been analyzing everything leading up to and following the birth of my last 2 children. the question is: did i have any symptoms of depression or anxiety during my pregnancy? the answer? no. i didn't. i've been reading about women with postpartum anxiety or women whose problems began while pregnant and knew for certain that i didn't fit in either of those categories. meanwhile, i have been so busy trying to prevent a problem that i haven't noticed what's happening to me now. i seem to have looked over the fact that i am so high strung and can't relax or sit still. i can't sleep. i hate leaving my house. it was almost impossible for me to do the grocery shopping last week without screaming at somebody or literally pulling my hair out. i haven't noticed the fact that i imagine impossible situations (that end with someone being injured or dying) and seriously panic about them. i can't watch my kids walk down the steps or take a baths because i keep playing potentially fatal scenes out in my head. i hate driving. i panic at intersections because i know someone is going to run the stoplight and hit me. i haven't noticed that i've started losing interest in things i enjoy. you may have noticed that even my posting here has become sparse. my favorite activity is laying in bed, reading books or just staring out the window. i do this until i need to get up and do laundry (our water bill has actually gone up $7 the last 2 months because of this) or clean up. luckily, there's always a mess to clean or laundry to do in our house. then i blame my husband or the kids because all i want to do is read and relax and they won't let me have 10 minutes to myself. how did i miss this? how have i overlooked the fact that i am miserable and losing it? how can i say this hasn't happened before? 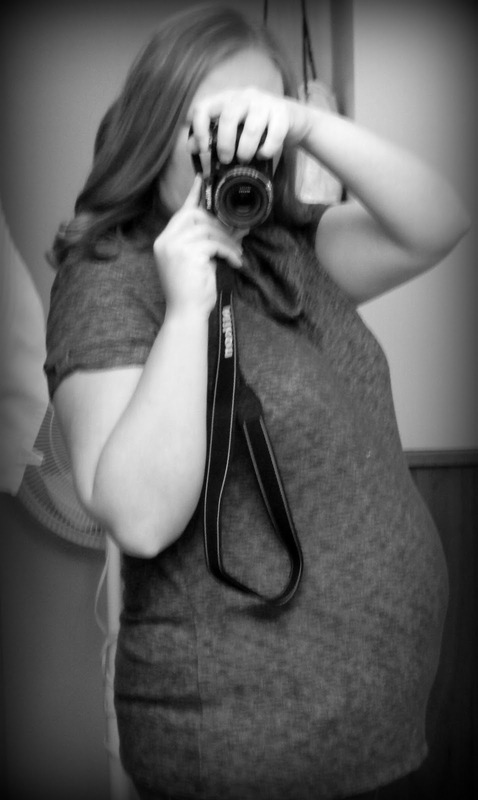 with my last 2 pregnancies (especially late in the pregnancy), everything was magnified. every move, every bump, every pain, every twinge was something awful-a miscarriage or preterm labor. i was always convinced (especially in the third trimester) that there was a slow leak in the amniotic sac and i just wasn't catching and surely i was killing the baby. i couldn't sit still, i couldn't stand waiting for the baby. how could i forget when i was pregnant with kennedy, sitting at home watching a show about UFOs on the history channel (this was my favorite thing to do on friday nights when corrina was asleep and steve was out) and a woman on the show told her story of alien abduction? she wasn't abducted by aliens herself, her unborn baby was. aliens came and took the baby from the womb. the baby was just gone (though aliens did bring her back to visit several years later). i was watching this and began to panic. i actually called my best friend and asked "what do i do if aliens take my baby before she's born?". it was laughed off like a joke, but laughter couldn't make my sense of panic go away. it didn't help me sleep that night. how have these things managed to get by me? how have they gone unnoticed? i have been debating on whether or not i should automatically take some kind of drugs after the baby's born or if i should play it by ear. i've decided to go ahead and start taking something now. i can't go on this way and i know it will only get worse. for the record, i do not now (nor have i ever) believed that aliens could really take my baby or me (or anyone else). it just shows what kind of irrational thoughts can seem plausible and absolutely terrifying when you suffer from perinatal mood disorders. i'm a little upset that i let myself get to this point. i know that if you have suffered from any kind of severe mood disorder with a pregnancy, there's a 50-80% chance it will happen again. i know this, but wasn't paying attention. I'm glad you realized it this time around, and are being proactive about doing something about it. I hope that the steps you are taking work for you. I "awarded" you! Check out my blog!